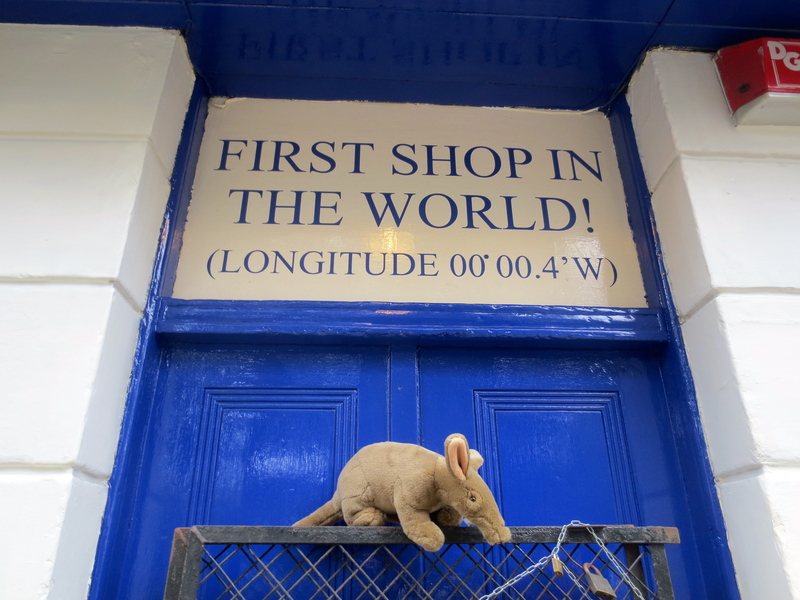 Artie Aardvark Goes to Greenwich | Where is Yvette? What an exciting day- I am in London, and off to see the Royal Observatory in Greenwich! This might be the most famous observatory in the world because the prime meridian runs through here- the line that all the countries agreed to use when it comes to measuring locations on Earth from East to West. It’s also the place from where people define Greenwich Mean Time, which is the global standard for time in the world. It sounds like a really important place to visit! 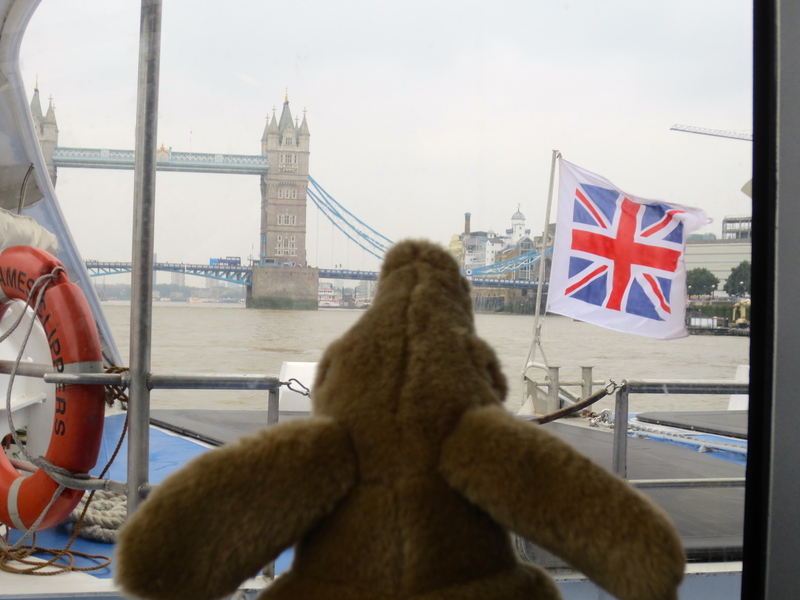 To get to the Observatory, I hopped on a boat for a ride down the Thames River from central London. It was really cool to see all the sights along the way! My favorite is the Tower Bridge, next to the Tower of London- doesn’t it look like something out of a fairy tale? 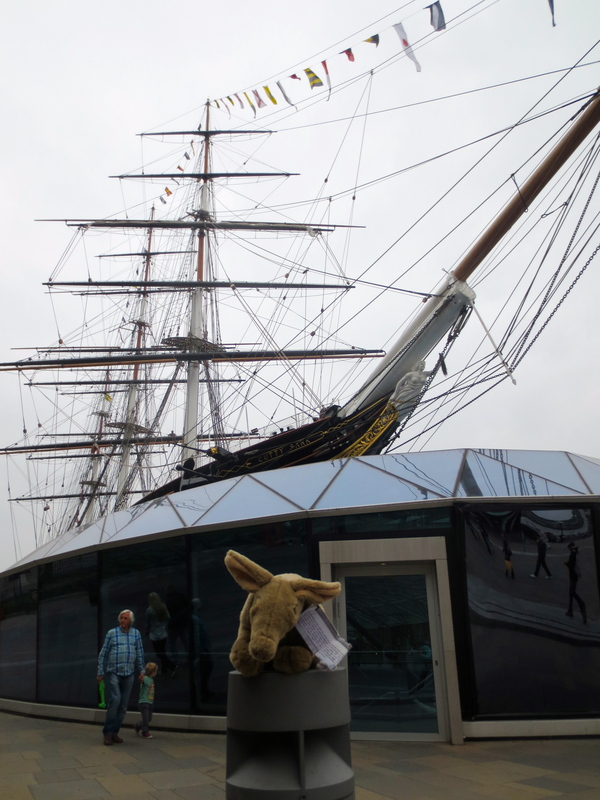 After about a half hour ride I got off at the Greenwich harbor, and stopped to look at the other famous attraction here- the Cutty Sark. This was a boat built in the late 1800s that was one of the fastest in the world, and is now a museum where you can explore the ship. It’s even caught fire once or twice, but it looks really impressive today! 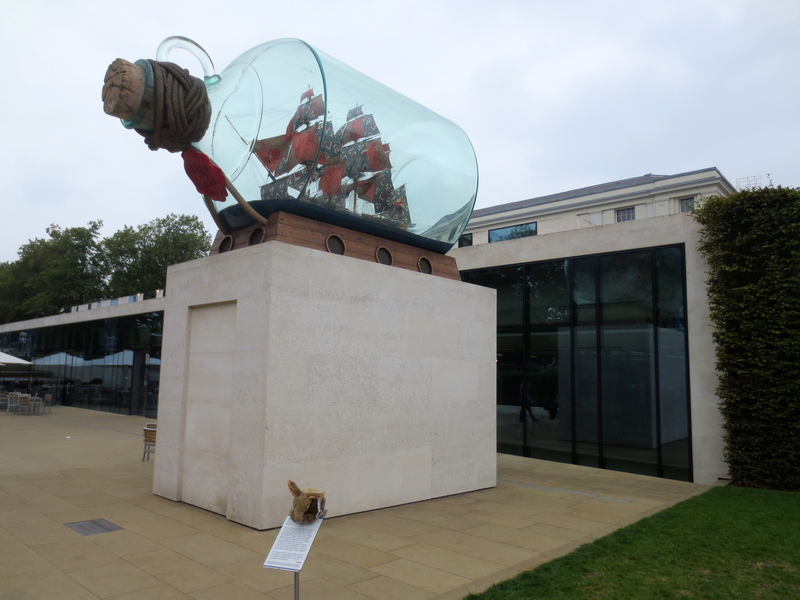 In fact, there are a lot of ships to see all over Greenwich- in fact, this one outside the Maritime Museum is the world’s largest ship in a bottle. Cool! 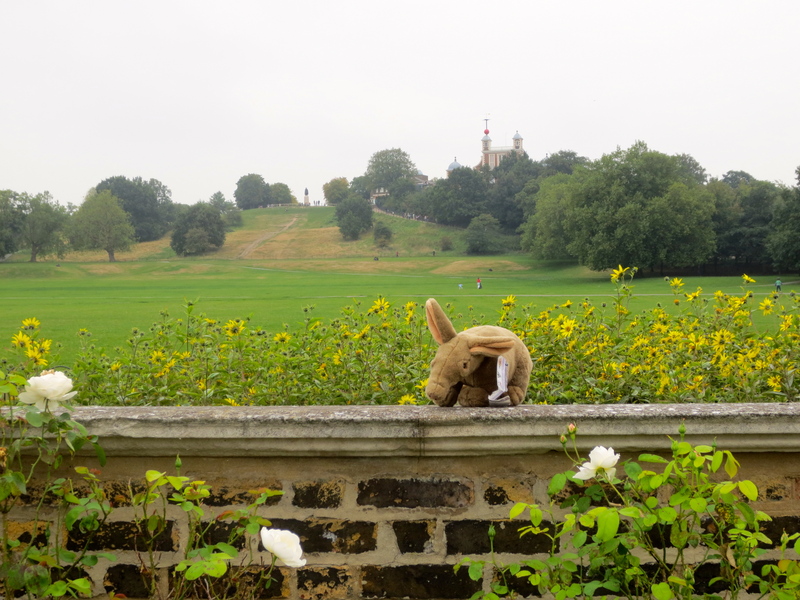 Finally, you can see the Royal Observatory- it’s the funny building up on the hill! The red ball on top of the tower is really important, because every day at exactly 1pm (Greenwich Mean Time does not take into account daylight savings, so it’s actually at noon GMT! -Y) they drop the ball which was raised to the top of its stick a few minutes before. 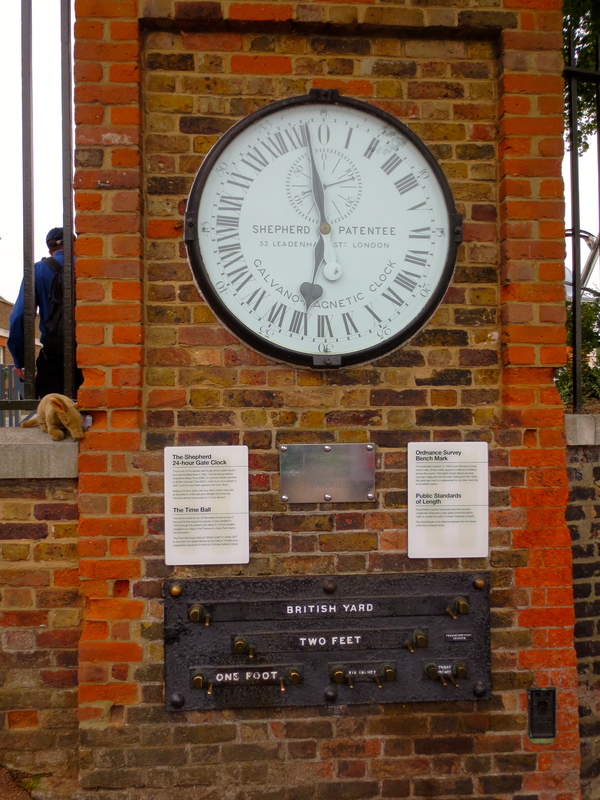 This was done so all the ships in the harbor could then know exactly what time it was in Greenwich on their clocks. It made me think of how important this must have been during the British Empire, when these ships sailed all over the world, to see this! Finally I’m at the top of the hill! This is just outside the entrance to the observatory- a clock where they show the exact time to the public, along with the standard measures of distance. I learned here that even though you’d think noon on the clock would be exactly when the sun is at its highest point, this doesn’t happen on most days of the year. This is because of things like how the Earth’s orbit isn’t exactly a circle around the sun and how the Earth’s motion has an uneven speed, so astronomers have to use an equation of time to compensate. Knowing exactly what time it is sounds complicated! 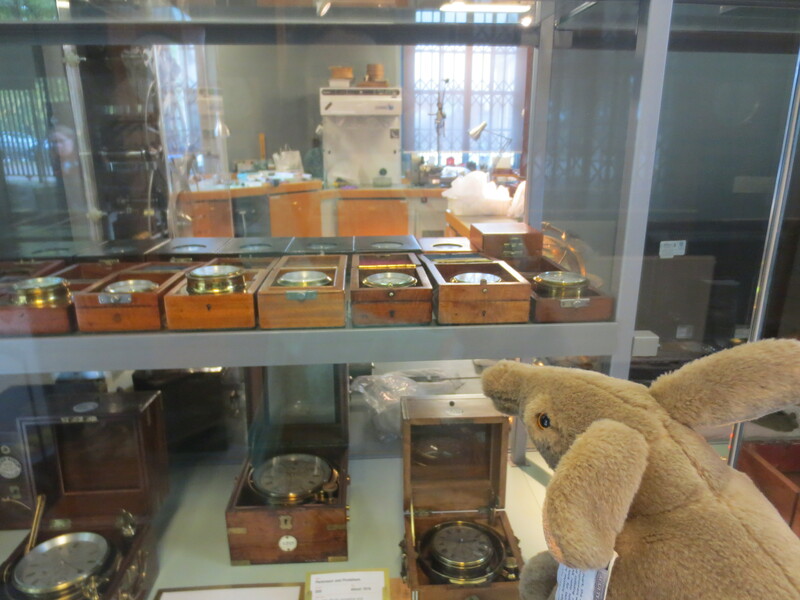 Since the 1950s, however, scientists don’t take measurements here to keep track of time. Instead, they count the number of vibrations from a specific kind of atom, known as Cesium 133, which is way more accurate. But they also have what is perhaps the most important clocks of all time, the sea clocks built by John Harrison! Back in the 1700s, not knowing where your ship was on Earth was a huge problem- you could get lost and crash into something!- so there was a prize announced in London for anyone who could figure out a good way for ships to keep track of where they were. Up until that point all the clocks on Earth used things like pendulums to keep track of time- not good on a moving ship- but a clockmaker named John Harrison invented a clock he called a “marine chronometer” that ran on gears, and won the prize. He must have been a very clever man! 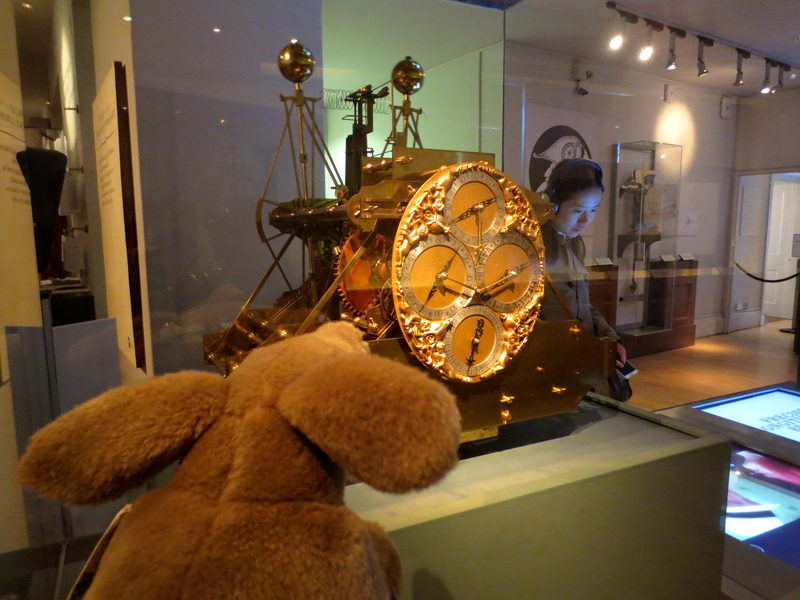 I also got to see the telescopes at the Royal Observatory! 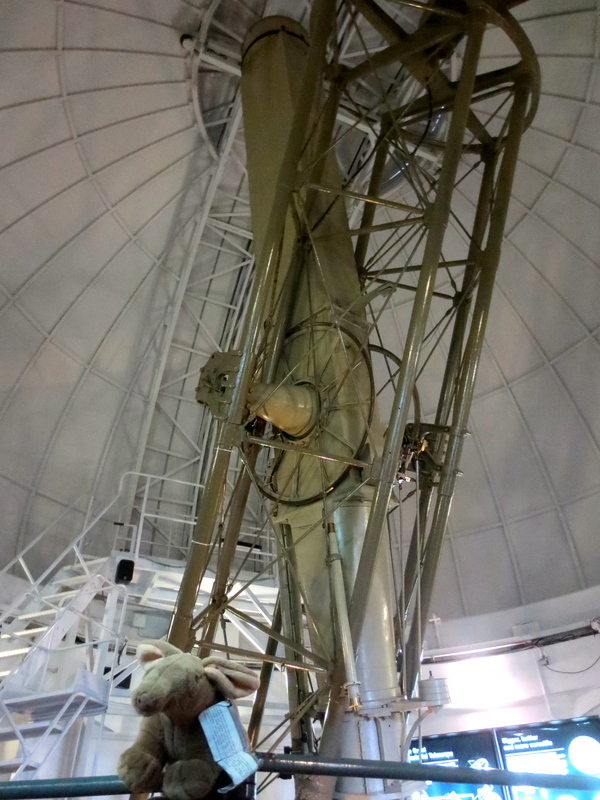 This telescope is a 26″ refracting telescope- meaning it has a big lens in it instead of a mirror- that they use today for public observing events. Even though it is maybe the most famous observatory in the world, astronomers have not done astronomical observations from here in many years- the light pollution from now being in the middle of one of the biggest cities in the world is not a good place for astronomy research! 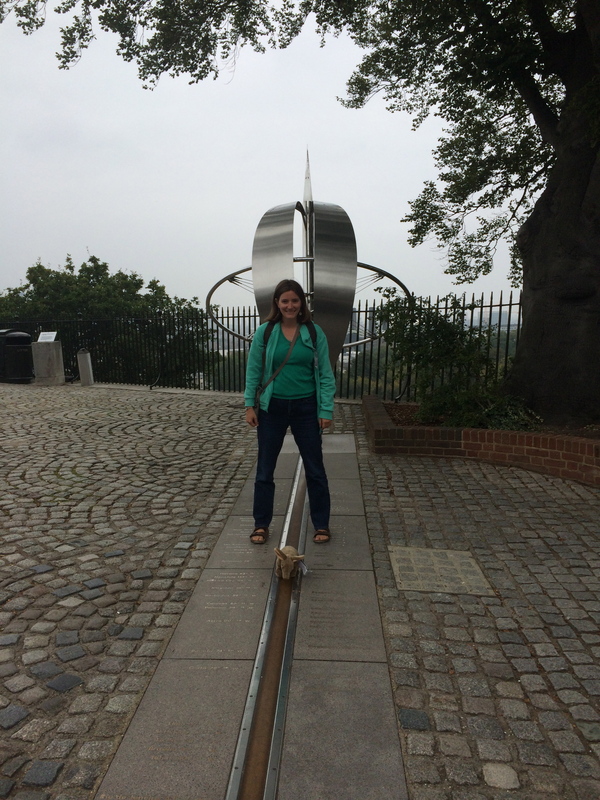 Finally, after seeing the clocks and telescopes, it was time to see the prime meridian line! I was so excited to stand in the eastern and western hemispheres at the same time! Though Yvette told me after we weren’t really standing on the prime meridian here- it is a hundred feet or so east of the line, because over time it’s moved for reasons like the continental drift of the plates over time. At this point though, I shook my head and decided not to worry about where it was exactly. Maybe these little things matter if you’re a research astronomer, but if you’re a little aardvark like me it sounds like astronomers are the sort of people who enjoy over-thinking things too much! This entry was posted in Artie Aardvark's Adventures, United Kingdom. Bookmark the permalink. That’s my neck of the woods. I grew up there and spent a lot of time in Greenwich park as a kid.